Trump: "I wasn't preoccupied with the NFL"
President Trump said he was not preoccupied with the NFL's national anthem protests over the weekend while Puerto Rico is still reeling from Hurricane Maria, calling his anthem tweets "an important function of working." 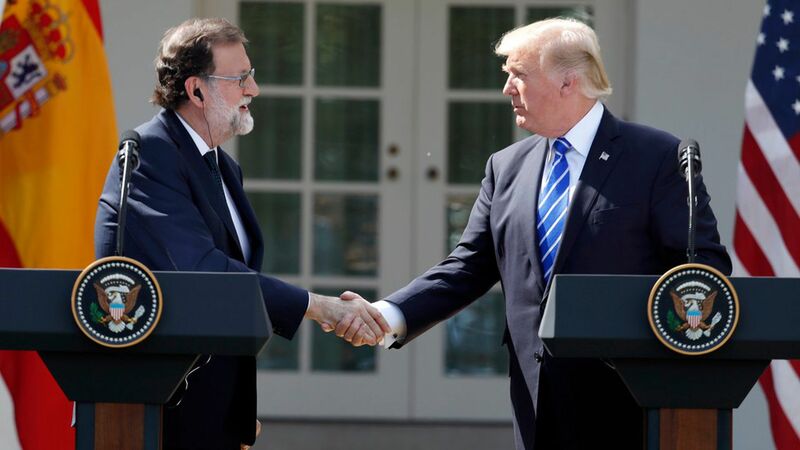 He was asked about his focus on both issues during a joint press conference with Spanish Prime Minister Mariano Rajoy today. The full quote: "I wasn't preoccupied with the NFL, I was ashamed with what was taking place, I think it was a very important moment…I have plenty of time on my hands, all I do is work. To be honest with you, that's an important function of working. It's called respect for our country…We are totally focused on [Puerto Rico] but at the same time it doesn't take me a long time to put out a 'wrong.'" Difficulties in Puerto Rico: "It's out in the ocean, you can't just drive your trucks there from other states...This is a thing called the Atlantic Ocean. This is tough stuff." North Korea: "We are totally prepared for [a military] option, not a preferred option. But if we take that option, it'll be devastating — devastating — for North Korea." On Catalonia's independence: "I think Spain is a great country and it should remain united."